How much do you really know about Burlington? Time to find out! I doubt the above were on many reading lists over the holidays. City Hall produced these glossy and slick new reports in 2013. Some may consider them “feel-good propaganda”. They’re more than that. Both reports reveal much about the City, City Hall and our future. 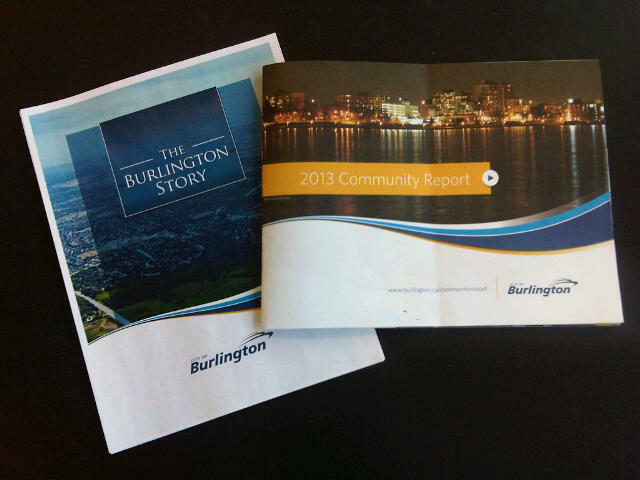 Take a few moments to complete the following * POP QUIZ * based on the The Burlington Story and Burlington’s Community Report. It may even save you from reading them! Answers will be provided here on New Year’s Eve. Answers are provided now immediately below each question. You may be surprised (especially #5 and the City’s limited growth potential). Here’s to Burlington doing better in 2014 – and not just on the next Pop Quiz! The SPECIAL BONUS ANSWER will hopefully be disclosed by City Hall in 2014 (to some degree) – but it’s interesting to see what people anticipate. Will this Council’s decision to litigate actually matter to residents for the October 27 election? Time will tell. This entry was posted in 2014 Municipal Election, Burlington, Halton by Brian Heagle. Bookmark the permalink.